The Cyrano 00 (00 meaning “the top” in Italian) is the top-of-the-line seat post from fi'zi:k. Made from high-modulus carbon, this is the lightest and strongest fi'zi:k seat post. The Cyrano 00 (00 meaning “the top” in Italian) is the top-of-the-line seat post from fi’zi:k. Made from high-modulus carbon, this is the lightest and strongest fi’zi:k seat post. It is available in 2 diameters (27.2 and 31.6mm) and 2 lengths (270mm and 400mm) and designed to perfectly finish off a pairing with the fi’zi:k Cyrano Handlebars and Stems. These products are being ridden at the highest leve of professional cycling, UCI World Tour level by AG2R Pro Cycling Team. This seat post clamp is easily adjusted and quick to install the saddle into. The saddle clamp is designed specifically to be saddle rail-friendly, ensuring an even distribution of the load once a saddle is clamped in place. There is lots of adjustment along the length of the saddle rail as the top part of the clamp is shorter than the base. The saddle clamp has a flat top with no screws protruding. This means there is no danger of reducing saddle comfort derived from a dynamic saddle base that might otherwise be restricted from moving. The post can be used back to front, releasing the adjuster wheel all the way. This allows the rider change their position to be closer to their bars in triathlon or time trials. The round shaft is slightly ovalised, using thicker material fore and aft, thinner to each side. This optimal material distribution increases strength whilst keeping weight to a minimum. 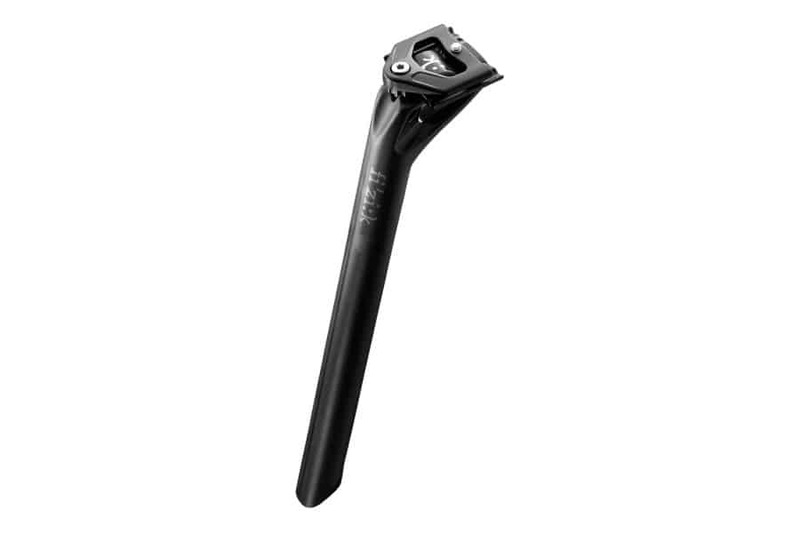 All seat post clamp parts are heat-treated for 3 times the industry standard, making them particularly durable and resistant to corrosion.